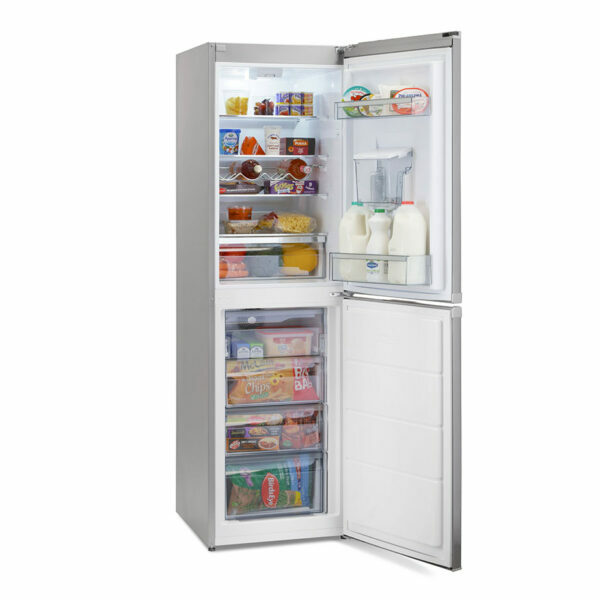 This Montpellier Fridge Freezer is a perfect choice for those who need space and style. With its external water dispenser you can enjoy a nice cool glass of water at any time. It not only comes with a non-plumbed water dispenser but it still has space for tall bottle storage in the door, despite the water tank. A full width chrome wine rack also allows for extra bottle storage and the adjustable glass shelves help with any awkward items you may need to store. There are 4 freezer drawers and it is also frost free which means you don’t have to worry about defrosting the appliance. With an impressive A++ energy rating, it will not only save on energy, but it will save you money too. 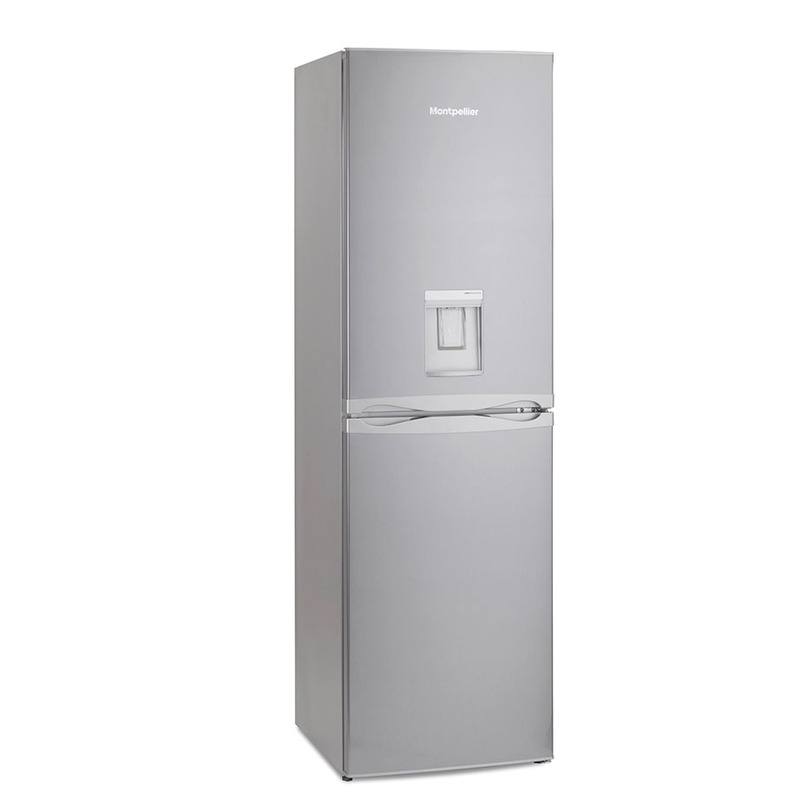 With an A++ energy efficient rating, this Montpellier Fridge Freezer only consumes 210 kWh/annum, so you can care for the environment whilst helping to reduce the cost of your energy bills. You’ll be able to enjoy a refreshing glass of cool water on tap with the drinks dispenser. The internal tank can store up to two litres of water – simply fill your glass from the front of the appliance. Positioned next to the interior light at the top of your fridge, the low ambient switch ensures your fridge freezer continues working when stored in low ambient temperatures as cold as -15°C. Make space for large items by removing the freezer drawers and by placing groceries on the safety glass shelves. By removing all the shelves and drawers you can turn the freezer into one large space. Store up to three bottles of wine with the chrome wine rack. Thanks to its vertical design you won’t have to worry about any leaks as your open bottle stays chilled in the fridge. You’ll never have to fully defrost your fridge freezer again with the frost-free system. 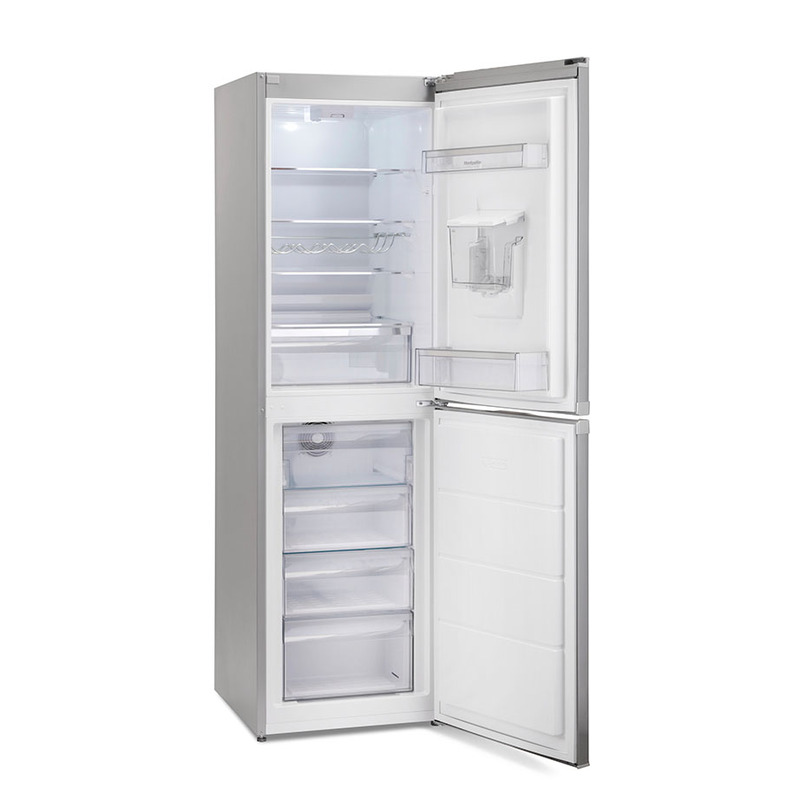 There’ll be no need to manually defrost, which means your fridge freezer will keep items frozen with no hassle.